Looking for love in all the wrong places? Are you an ardent game streamer? 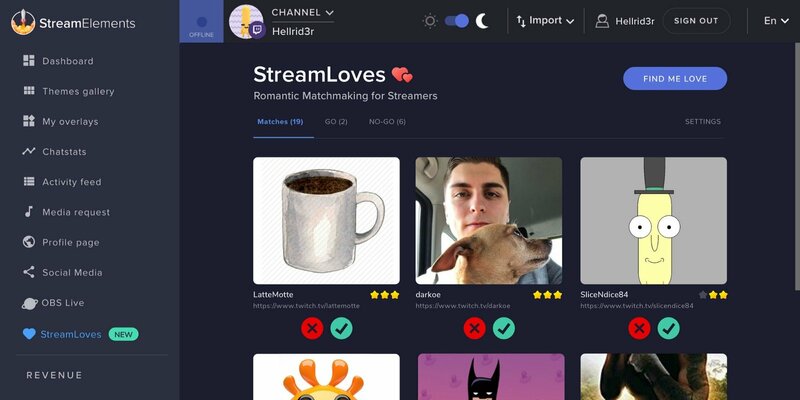 Maybe you just need StreamLoves, Stream Elements' hilarious April Fools' Day joke that lampoons the idea of finding soulmates while watching people playing games. StreamLoves is a way for individuals to "find their soul (or Dark Souls) mate that really gets them," the official post reads. "Built from the ground up to increase stream engagement, there’s no telling what other kinds of engagement it can lead to!" All you have to do is set your preferences via settings in the dating app, which lets you find the perfect match for you, no matter if you're more into PC or console games. You can select "platform agnostic" if you "swing both ways," reads the announcement post. Then click the "Find me love" button, and StreamLoves will get to work. We found StreamLoves in a hopeless place. 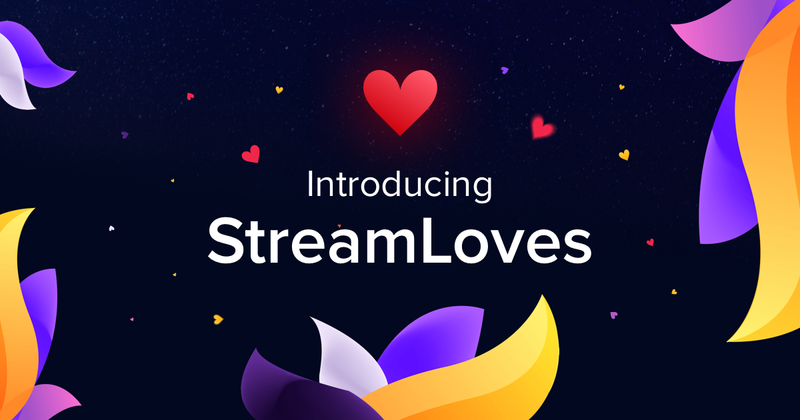 "StreamLoves’ sophisticated algorithm offers possible matches based on your streaming habits, location, favorite games, the tone of your chat, annoyance level of your new sub alert, and other data." When you find someone you're interested in, you just click the heart icon on their profile. The match will show up n your stream overlay when your accounts are both active. Then, when you're both broadcasting, an alert will appear on stream and open up a new chat for you to get to know each other a little better. Yep, in case you were wondering, the April Fool's Day jokes are getting more ridiculous as the day passes. But hey, someone might be interested in this, you know?